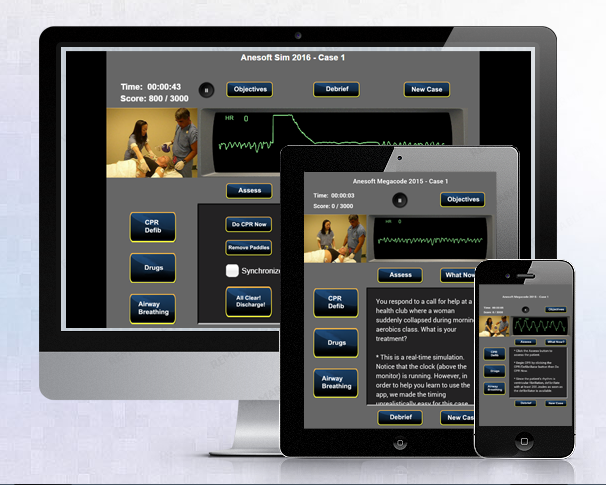 Anesoft Corporation makes high-quality, realistic medical simulation software for all health care professionals. You can rehearse management of medical emergencies using these screen-based simulators on your computer, tablet or phone. This medical educational software is the best way to improve your management of real emergencies.